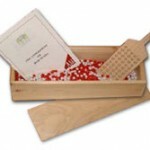 This is Part 4 of 6 of the Deming Red Bead Experiment Video Tutorial. But, before we get to the Red Bead Video Tutorial, here are some famous quotes of Dr. W. Edwards Deming. “When asked what single event was most helpful in developing the Theory of Relativity, Albert Einstein replied, ‘Figuring out how to think about the problem’. “It is not necessary to change. Survival is not mandatory. The Red Bead Experiment Video #4 is below. Instructor: … department. We believe in pay for performance. This money will motivate you as you come up and stop, think, act, review and perform your work. So let’s start Day Number Three. Willing worker Number One, without the pen; there is no pen in the list of materials. Yes, you’re checking it empty. Did you stop, though, first? Stop and think; you’re thinking, right? Okay, I think you’re thinking; now, act. Just against the edge of the container, yes, right on the end; rotate, up four inches, 47 degrees forward; very good, and on to QA, a very finely motivated worker here. Instructor: Good, Curt, your best performance yet. I can see that this fine management team is making a difference. And Marty, let’s continue that improving trend here. And remember, visualize the 30; now it’s $30, three red beads, not thirty red beads, $3. And into the bead supply, just straight and smooth through, bury the paddle with the beads. If you keep messing around with it, you end up missing a hole though. So on to QA; in fact you missed two holes. I can’t sell holes; I can’t sell holes. I can only sell white beads. Instructor: See, if you mess around with this procedure, Marty, 11. Such a declining, well here comes the master of declining performance. Okay, willing worker Number Three, Ed, 10 to 13 and I expect a turnaround in this performance here, Ed. Very good, up four inches, 47 degrees, and onwards to QA. Very good; we’ll review your performance, part of the stop, think, act, review program. Instructor: Ah, you were thinking, Ed. Now comes Tom, my replacement worker who has been studying his procedure, I see. And you stopped and you think, now you act; rotate it through the horizontal. The beads will cover all the holes, up four inches, up four inches and 47 degree tilt; very important; and on to QA. Instructor: Yes Ken, back to eleven; my probationary worker. Sid, my cleanup man, my worker of the day the first day. Let’s see, I’m expecting great things from you, Sid. Up four inches, and 47 degrees forward, and on to QA; onwards, onwards. You haven’t been dismissed yet. Instructor: Nine, well, consistent, I suppose. I don’t understand this. Tom, you can get four; you got four. But look at your coworkers; two elevens up there. Boy, what is the source of this problem here? Obviously Marty and Ken. Well, total me up for the day. Instructor: Forty-nine, ah, improvement; see, setting sun. At least putting some money forward leads to some improvement. And as part of the day, I need you to do some bookkeeping here and total up the first three days’ performance for each worker. Meanwhile, I’ll report to the President. Mr. President, we completed the third day of production with our goals in place and our monetary bonus in place, and still there, on the table 49 red beads; a fine improvement. President: I agree with you that it is an improvement, but I don’t think it’s sufficient. Our customers still aren’t satisfied with the number of defective product that we have been sending them. But management, of course, has got a solution to this dilemma as well. I would ask you to please rank the workers and identify for me those that are above average. We apparently made a mistake when we hired some of these workers, not all of them are above average. Let me know when you have the ranking. Instructor: In fact, it does look like Tom is my best worker with 20; come forward and take the head of the line here. I’m very glad I chose you. I had a good recommendation on you. Now, the next worker is Curt at 25, so take the spot number two. Yes, you’re there. The next worker is 26, Sid, ah, Sid to the third spot. And the next worker is Marty and then Ed and then Ken. You already knew, okay. Now, you see we give you feedback. This is performance appraisal time. Nothing could be more fair; this is your performance for everybody to see, all our stockholders in the world, they see your performance. We’ve ranked you from top to bottom. We notice that there is an average here. You three are above average; you three are below average. That is duly recorded. Mr. President we have completed our performance appraisal process. President: Thank you and management has reviewed these results and the decision that we have made is to go forward with the prediction that our best workers will be the ones to rely upon in the future. Therefore, I would like you to dismiss the three not best workers. You may give them their severance pay. Instructor: I want to thank you for your best efforts and the directions to the rock are down the road. President: We are in dire straits as a company; it’s is going to be very important to us to continue this improving trend. We predict that the best workers that we have kept on are going to help us do that. We would like to work them double shifts on the following day. 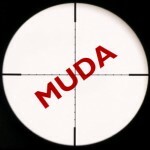 Instructor: Keed up production; double shift. Okay, so you’re going to record down is just go in order here. We got to make up time here. We got to get our productivity forward. Come on forth, two days. Yup, just put her right in; follow the procedure. Remember the $30 bonus; we still haven’t hit that yet. But you had four last time, so I’m sure you’ll have three this time. Up four inches, 47 degrees, come on, productivity must be kept up, on to QA. No talking. Instructor: Nine, after all those good things I said about you, Tom. Well, put nine someplace up there. Tom, second shift, come on, double shifting here. We have to keep that bead production up. Productivity, time is money. And four inches and 47 degrees, and on to QA. Ah, he must have thought about this. It looks like we have a recovery here. Instructor: Four, very good. Why didn’t you do that the first time? Okay, next worker, willing worker number one, that’s Curt. Remember, stop, think, act, review. Right in there, yep, yep, rotate through to horizontal, up four inches, and 47 degree tilt. Well, okay, fine. Instructor: Nine; okay, now if you follow Tom’s performance you should now have four the next time. But four isn’t good enough, remember, three. Visualize that $30; it’s right there. Visualize, think, now act. Male Voice: I can’t change the procedure. Instructor: Well, this is a finely engineered procedure. If you must, you can mark up a procedure when you’re done and we’ll submit it to the Engineering Department. Okay, on to QA. 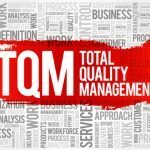 Why Is Customer Satisfaction So Critical to TQM?